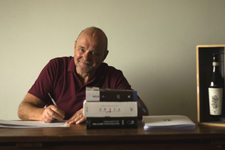 The company was born in 1991, when Virginio Molino, originally from San Damiano d’Asti and always in the world of wine, bought together with his sons Tommaso, Franco and Dario a small parcel at Treiso and a wine making facility. WITH THE SAME PASSION AS THEIR FATHER. Dario, the youngest brother, graduates at the eonology school, while Tommaso and Franco bring their practical experiences. In 2012, Stefano Cappuccio joins the 3 brothers, bringing is international manager experience. The company owns today 16 hectars of vineyards, producing wines appreciated in national and international market. 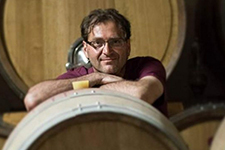 After graduating at prestigious Alba’s oenological school, he attends a training course at some French wine-growing companies, where he integrates and refines his style. Since 1991 is the only oenologist in our company. 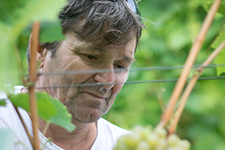 Extremely passionate about agronomy, he has always been our vineyard manager. Thanks to the practical experience gained over the years, he is today a greedy supporter of very low impact farming techniques. In the world of wine since the early age, after graduating as commercial technician, he decides to follow his father’s footsteps, assisting him and specializing in marketing. After a lifetime in the design and engineering of the car, it accepts the challenge of the Molino brothers to grow with them the company founded by Father Virginio. He deals with communication and marketing.